A garden is a piece of land set aside for planting crops flowers and nursery in or around our homes. How to set up a garden, Crops garden, Farm tools. House garden. Tools needed to start a garden. The quest for garden is actually on the increase as people search the web and books on how to start a garden of their own, depending on the type of Garden. 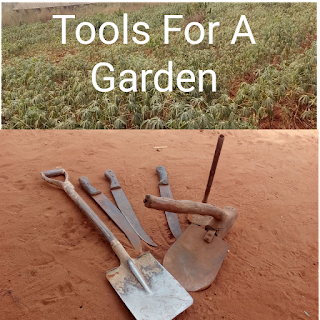 The higher the quest for setting up gardens in our environments, the higher the demand for small farm tools required for the gardening. 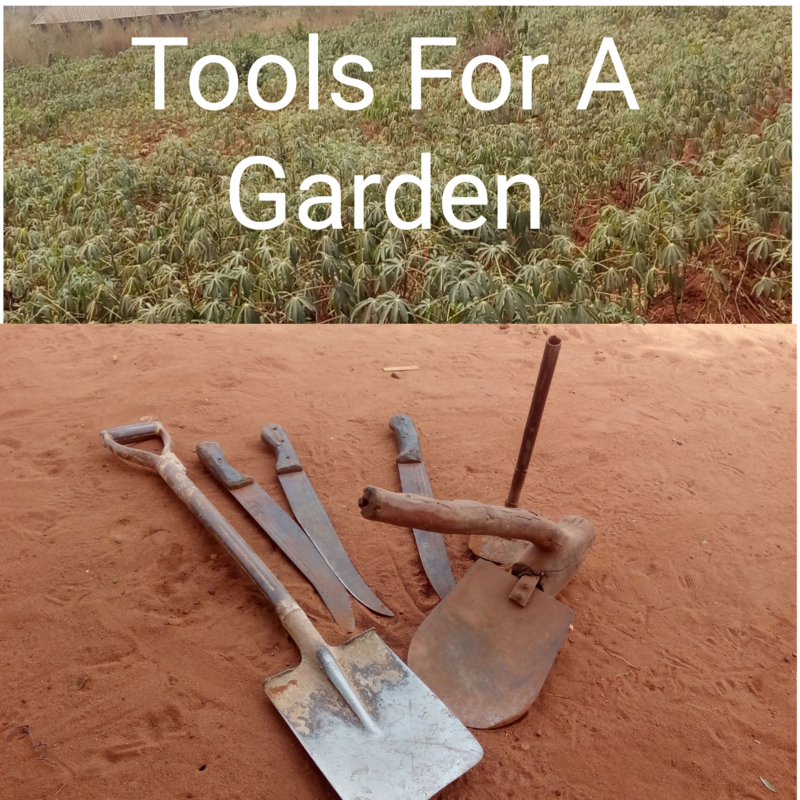 There are simple farm tools that could be used to manage a garden, and they aren't the same as farm tools for Commercial Farming. Garden is consistent agriculture as it doesn't require much people and professional tools or farm machineries. The most important of all is setting aside a piece of land where your garden is to be located. 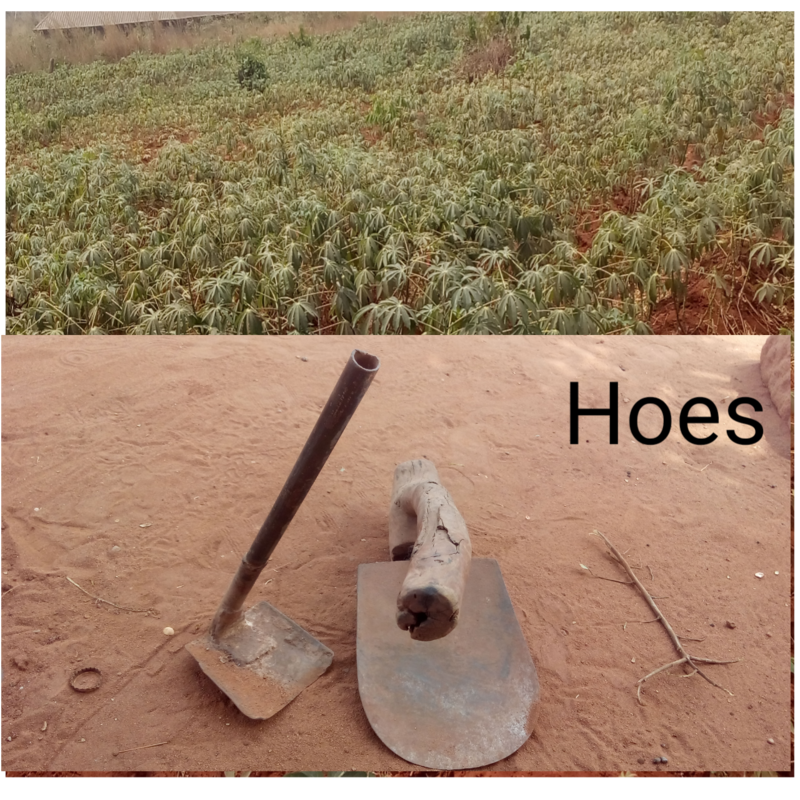 Hoe: Hoe is the number one farm tool out there. There are big and medium sizes of farm hoes. 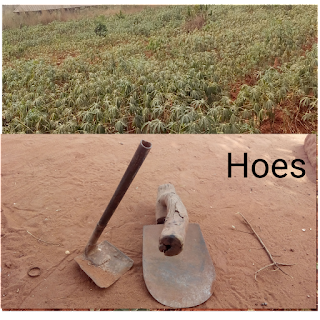 Hoes are used for Tillage and making of ridges in the farmland. It can also be used for weeding our gardens and farmlands. Hoe is of the essence in Agriculture and Garden setup, its works are inevitable. Spade: Spade is just an alternative to the hoe, if you couldn't get the hoe. 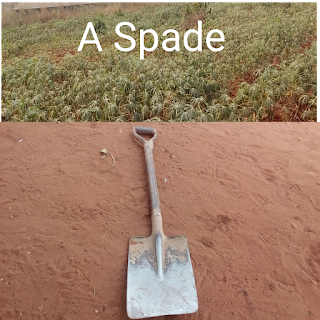 Though the hoe can't in a any way be compared to spade, the spade could serve some of its important purposes. Tillage and making of ridges could be accomplished with the use of Spade, though it could not be as easy as making ridges with a hoe. If you live in a geographical area, where you can't purchase a hoe, then a spade is a very good alternative. Matchet/ Cutlass: If it's not Matchet, then its not cutlass, there is no alternative for this. This matchet/cutlass also has a lot to do in our gardens and farmlands. Its the main tool for clearing the bushes in our gardens and farmlands. 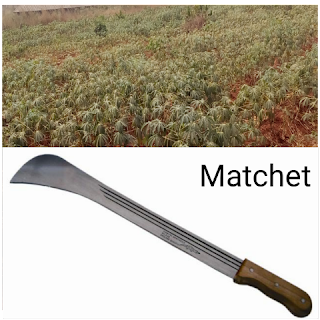 Every cutting in the farmland must be done with the use of this farm tool, Matchet. Matchet could be purchased from markets, local shops and super markets. Its said that "There is no Agriculture without matchets". Even commercial farmers who make use of Tractors and other heavy farm machineries also need the Matchets to accomplish their work. Wheel Barrow: This tool is commonly used to carry things about in the farmland. 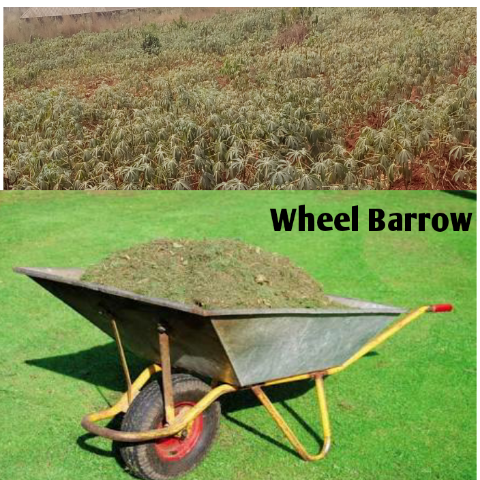 After weeding, we make use of the Wheelbarrow to dispose the weeds to a refuse bin, if you don't want to use the weeds for mulching. Wheel barrow is of the essence in this farming, but some make use of baskets as a perfect alternative to Wheelbarrow. So, if you can't afford wheel barrow, open baskets could serve its purpose. Watering Can: Irrigating a garden helps to supplement the water in the soil and make it adequate for Agriculture, especially during dry seasons, when there ain't enough water in the soil. Irrigation is the addition of water to our farmlands and gardens, to help crops grow very properly. Irrigation could be applied to commercial farmlands with the use of hose pipes and pumping machines, but in our small gardens, its best carried out with the use of watering cans. 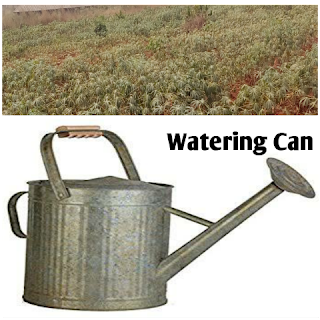 We can also dissolve fertilizers in water, then apply it to our farms and gardens with the use of watering cans. 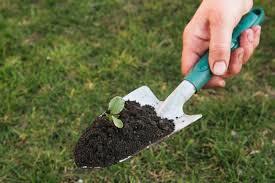 ‎Hand Trowel: The only known tool for transplanting is the yet the Hand Trowel. You as a gardener will be in dire need of this tool for transporting crops from "Crop Beds" to their permanent positions in your garden. If you couldn't get a hand trowel, then your hand will serve the purpose of the trowel. With the availability of the above mentioned tools (or their alternatives), you're good to setup a garden of your own. There are varieties of crops and plants you can cultivate in your gardens ranging from Flowers to Root Crops, Vegetables etc.